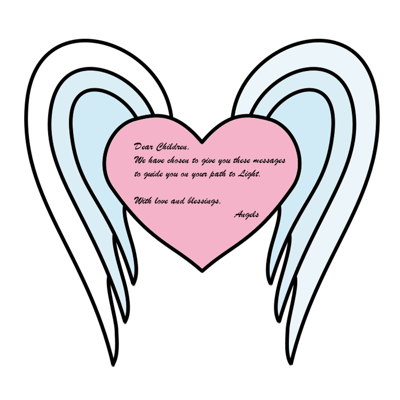 This blog will contain channelled messages from angels and other beings of Light. They will have chosen the contents and the order of things presented. My job will only be putting their words into writing. If I feel the need to express my own opinion, I will clearly indicate that the text is mine. Dear children, as your earth year is coming to an end, we salute you with all our blessings for the coming new year. For those who walk with heavy hearts, we will bring solace, if you are ready to accept it. We will dry your tears and give you cause to smile and be happy. New energies are waiting for you, if only you are ready to let them into your life. Many of you are struggling but you are still denying our help. You think that your own strength will be enough. Why, dear children, do you choose to make your life so difficult? We know you are proud human beings but accepting our help does not take anything away from you but it will add good things to your life. Now, dear children, leave the past behind, truly behind and focus on the future. We tell you that you have a lot more influence on your future than you think. You can make your future treat you well or let you down time and time again. This is what your thoughts and the energy they carry with them will do. Black won't be white but white will be easier to see when its time comes. In other words, your lessons will still be there to be learned but how and where you learn them will be different. Cut yourself some slack by keeping your thoughts positive. Positivity breeds more positivity and negativity breeds more negativity, that's the law of the Universe. Dear children, know that we will never be far from you. When you call us, we will already have anticipated your call and be there with you. Your Heavenly Father showers his blessings on you and wants you to know that He is ready to help you. All you need to do is ask. His love is and will be with all of you now and in the times to come. His Light shines on you, dear children. Amen. Things are changing around you and you feel restless. Some of you are fearful of all the new developments. We are here to tell you not to fear. Even if the changes that are about to happen will not always look good and promise more hardships than pleasures, they still have a deeper meaning than at first meets the eye. These changes are global. People are looking for new leaders and, in doing so, first turn to leaders that will fail their trust. Great confusion will follow. This, however, is all meant to be. Because it will cause people to turn inwards and seek consolation in spiritual matters and understanding that is not of this world. More prayers will flow and more angels send, and more spiritual teachers will be needed. And more guidance is on its way. We will not forsake you when you turn to us. Powerful allies are given to those who seek them. These powerful beings will restore people's hopes and strengthen their faith in the spirit world. The turmoil of the world around you will make you look for understanding of the teachings of your souls. This will make your souls grow fonder and fonder of their helpers and guides and their teachings. Bigger communities that work together for a better future for the whole planet will arise. Mother Earth will once more be blessed and purified and people work together for a common goal and strive for higher dimensions. All the old and useless, which doesn't serve its purpose any more, will be destroyed and new things put in its place. We will try and make the transition as peaceful as possible but some harm will come to people and the planet. We wish to assure you that this is necessary and what comes after that will be a welcome blessing. Stay close to us, dear children, and take your lead from us. Dear children, don't let your ego lure you into hatred and discord. It is all too easy to give in to your ego telling you that people have hurt your feelings by not showing you the proper consideration and respect with their actions. The more you think about it, the angrier you get and, in the end, you are almost ready to throw away all human decency in the name of your personal hurt feelings and bruised ego. You no longer care what you say or do to these people who, your ego has led you to think, have hurt you so deeply. Don't you notice how your ego is having you on? It tries to manipulate you into thinking that it is all right to feel this away about other people and that you are in the right and more than justified to feel how you feel. Anger is okay, hatred is okay, and even revenge is okay. That's what it is telling you. But you are not just your ego, not any more, not when you have chosen the path of Light. Don't let your ego tell you how you should feel and trick you into all this negativity. Let us explain. Your ego wants to have control over you in everything you do because it means that your ego has the power and that is the one thing that it doesn't want to give up. It wants to be in charge. But the thing is that if you let your ego lead you, you are facing away from Light. Your Higher Self will tell you that these are just your ego's ways of trying to keep you under its control. Every time you notice these tricks that your ego is playing on you, ask the angels to give you another direction. Let them lead you to your Higher Self and undo the hurtful things you came very close to adopting. Instead, choose love and understanding and forgiveness and divine guidance. You are a spiritual being looking to be led on by your Higher Self and the angels and not someone led by a selfish ego on a mission. You ego has served and will keep serving its purpose but, dear children, let it not be in charge of your feelings and actions by making you choose anger and other negative feelings. Don't believe your ego, when it tries to mislead you, believe your soul and the higher purpose you have already started to discover on your path to Light. It is time to acknowledge that there is more to this world than what you see. It is time to acknowledge that you all are much more than just the flesh bodies. You all have an eternal soul and you should be made aware of it and its needs. You think, dear children, that you are here to make more money and get richer and richer. You could not be more wrong. You are here to learn the lessons that your soul needs. Lessons that your soul could not get in Light. This planet Earth is your classroom. Here your free will guarantees you such experiences that cannot be acquired elsewhere. Other souls who come from your soul family are here to help you learn your lessons. Sometimes the lessons that especially these souls teach you are very painful and almost heartbreaking, and you cannot understand why you were destined to have to go through them. You feel totally disappointed and let down by the people that you had loved and put your trust in. Let us tell you now, dear children, that these souls, who have given you these experiences, are souls who love you very much. It is down to your mutual agreement before this incarnation that everything happened. The more painful and difficult the lesson the more love is needed to be teaching it. So what to you might have been some of the most horrible things ever to happen to you, were, in fact, acts of love and much needed lessons by your eternal soul. Let us also tell you that it works two ways. The agreements on the soul level are binding, and your commitment to them is absolute. So it is also you who teaches other souls valuable lessons. We are not talking about acts of pointless cruelty here but about things that inevitably come your way sooner or later. These events are not something you stop to ponder, they are something that you are drawn to. You can, of course, choose to ignore them, because you have free will, but, dear children, they will come your way as many times as need be because this is what you have come here to learn. Why do you think very many people have similar kinds of problems and find themselves in similar kind of difficult situations over and over again? It is because they are refusing to learn their lessons the first time around. Now do you understand? Everything that happens to you, happens for a reason. It is like we said earlier, you are in the classroom of your own choosing. Dear children, we, the angels of light, ask you to trust us. We can do so much for you if you just let us. Occasionally giving us a quick, passing thought is not the same as really working with us. When we say working with us, we mean that you connect with us daily to ask and receive guidance. Often times what you ask us is put to us in such a hurry that not even you yourself remember what you asked for. But because we react to your requests, you will, indeed, receive what you had asked for and only then notice that it wasn't something you had thought through properly. Sometimes we try to delay our answers to you hoping that you would change your mind and refrain from asking something that will take you on a long detour. Of course, every single thing in your life is meaningful, so it is not a waste of time, but we might have been able to save you from some grief and unpleasant consequences, if you had stopped to reconsider. You would have learned your lesson in an easier way, but we cannot, of course, interfere with your free will. So, dear children, this is why we ask you to take time to carefully present your requests to us with the sure knowledge that you shall receive what you ask for. Today we want to encourage you, dear children, to trust us. We see you struggle with many questions and encounter difficult situations, and we want to ask you to put your trust in us. There are so many things we could help you with, if only you invited us to do so. We see fear as the biggest and most important obstacle. Firstly, you seem to be afraid of what other people would think and say if they knew that you talked to the angels and asked them for advice. You also seem to think that we, the angels, are not of God and by asking us to help you, you might be offending God. Nothing could be further from the truth. We are of God, we wouldn't even exist if it weren't for God. We are his or her creations, born out of pure love for mankind. We also see you thinking that the angels only exist in the Bible and other holy scriptures. We assure you, dear children, that we are very much present today and especially in the lives of all the people who have decided to invite us in and that your scriptures paint but a very pale picture of all the things that we are. We are asking you to let go of your fear and prejudice and see for yourself how we can help and advise you on your path to Light. When you actively include us in your daily life, not only will we help you when you ask for our help but we will also bring the blessings of God into your life in a very powerful way. Dear children, there are moments in your life when you feel totally lost. You have a difficult decision that you are trying to find an answer to. You talk to your friends, you read horoscopes, you try reasoning and the answer just doesn't seem to come to you. We are telling you that you already have the answer. Your guides and guardian angel are whispering into your ear things that you need know to make your decision. No dear children, they will not give you an answer that you should follow, no. But they will guide you into thinking what different answers to your situation will mean. Then it is up to you to make the decision. You have free will and we, Beings of Light, always respect that. But with guidance you have received from us your Higher Self will be able to decide which of the possible answers to your question is the one you should follow. This is the correct order of things. You can access your decision best during meditation or prayer. It is the quiet voice of your soul's wisdom that will let you know what the right course of action is in this particular case. When you have heard the voice, you will know. You might try and change what it is telling you, but deep down you know. Sometimes you fight the answer because it is not the answer of your ego and your ego demands you to follow only the advice that it is giving you. We ask you be clear about this. Your ego doesn't mind who you hurt in the process of choosing your way, it doesn't shun away from any kind of means. It thinks of only power and money and disregards other values, if there is a conflict. But we tell you that you will know the difference as clearly as night is different from day. Have you already connected with your guardian angel? Are you eager to learn more about angels? Maybe have a daily message from them? This calendar has a channelled message for each day of the year for you.